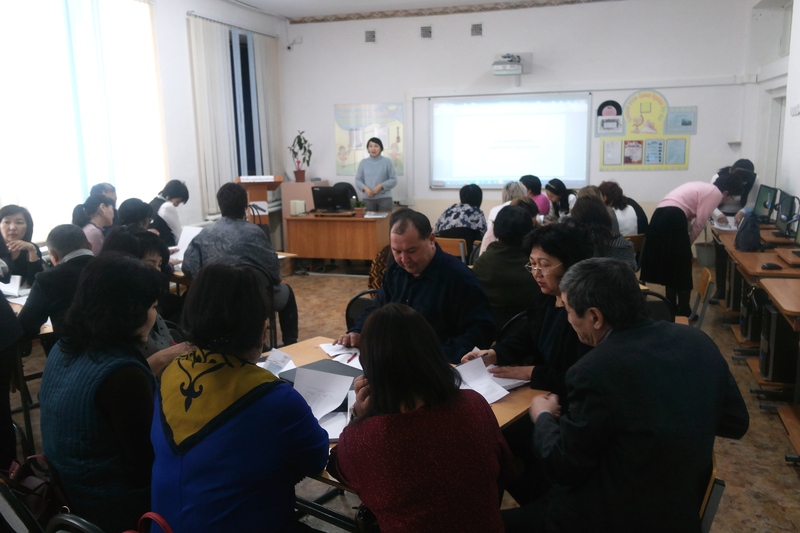 The qualification confirmation center together with the district education department of the Glubokoe district and the Belousov secondary school conducted a training seminar on “Theoretical and practical basics of learning the basic spelling rules of the Kazakh language in the Latin script”. On January 9, the Center for Confirmation of Qualifications together with the district education department of the Glubokovsky District and KSU "Belousovskaya Secondary School" conducted a training seminar "Theoretical and practical bases for studying the basic spelling rules of the Kazakh language in the Latin script. 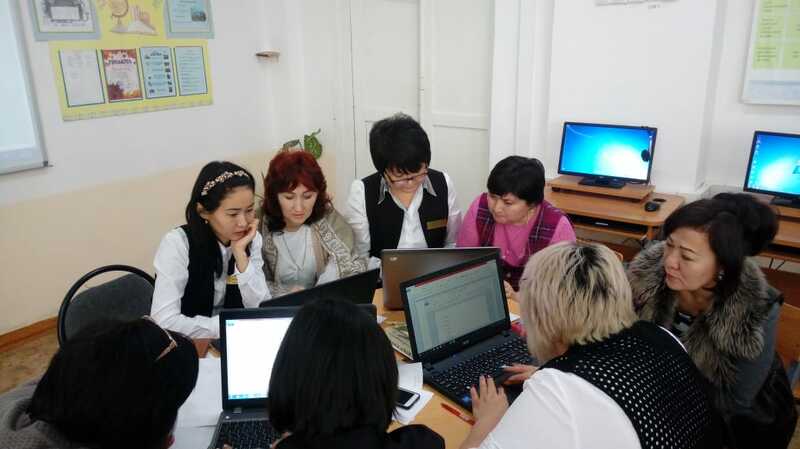 The workshop was organized to study the spelling, spelling of the Kazakh language on the basis of the new alphabet, to develop ways to effectively use new approaches in the study of the Kazakh alphabet based on the Latin script. Director of CPC S. Amanzholov EKSU B.B. Kelgembaeva introduced the draft spelling rules and the stages of implementing the transition of the state language to the Latin script. In the course of work on the initiative of the district methodologist of the department of education Zh.M. 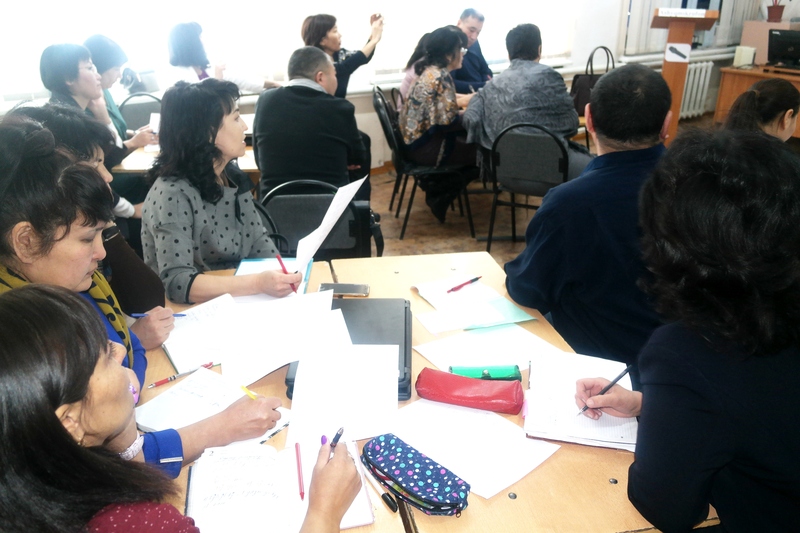 Nurachmetova teachers had the opportunity to apply their knowledge gained in the theoretical part. In the final part, the teachers exchanged their opinions on the topic of the seminar. Seminar participants received certificates. The organizers of the seminar were awarded with letters of thanks from the rector of the S.Amanzholov EKSU M.A.Tolegen. On January 9, on the basis of KSU “Belousovskaya Secondary School No. 1”, a regional workshop “Theoretical and practical basics of learning the basic spelling rules of the Kazakh language in the Latin script” was held, organized jointly with the director of the Central Industrial School named after S.Amanzholov, candidate of philological sciences , Associate Professor B. B. Kelgembaeva. The workshop was attended by Zh.M. Nurakhmetova, a methodologist at the Glubokovskiy Department of Education, G.N. Zeynoldin, a teacher at secondary school No. 29 in Ust-Kamenogorsk, and a teacher of the Kazakh language and literature from schools in the Glubokovskiy District. The purpose of this event is the exchange of experience in the study and application of new methods and techniques of teaching the Kazakh alphabet based on the Latin script. The director of the school M.K. Karibaeva and the deputy director for SD L.K.Bugubaeva made a welcoming speech, and the elementary students under the guidance of E.N.Glotova and A.A. Bakibayeva presented a musical greeting to the guests of the meeting. The first stage of the workshop was coaching conducted by B. B. Kelgembayeva, within the framework of which some theoretical issues were considered, as well as ways to effectively use new approaches in learning the new Kazakh alphabet based on Latin graphics. Coaching participants have written vocabulary dictation in Latin. In the practical part of the teacher of KSU “Belousovskaya Secondary School No. 1” A.A. Taudanbekova, GD Zholdybaeva, MK Kakanov organized the work of the participants in groups for the preparation of practical tasks taking into account the knowledge gained during coaching. Also, students of grade 10 A. Beissenbekov and E. Oralkazin presented their research project in Latin, “Using ICT for switching to Latin graphics,” developed in the framework of “Ruhani zagyru”. The practical implementation of this project is the creation of informative grammatical online games on the Way Ahead platform. As future philologists, they expressed their desire to actively promote the implementation of various government programs in the field of linguistics. In the final part of the workshop, the teachers shared their views on the transition to the Latin alphabet within the framework of the spiritual revival of the country “Rouhani zagyru”. A high level of organization and relevance of this event was noted. The result of the workshop participants' work were certificates confirming participation in coaching under the program “Theoretical and practical bases of studying the basic spelling rules of the Kazakh language in the Latin script” from the Center for proficiency testing of the EKSU named after S.Amanzholov. 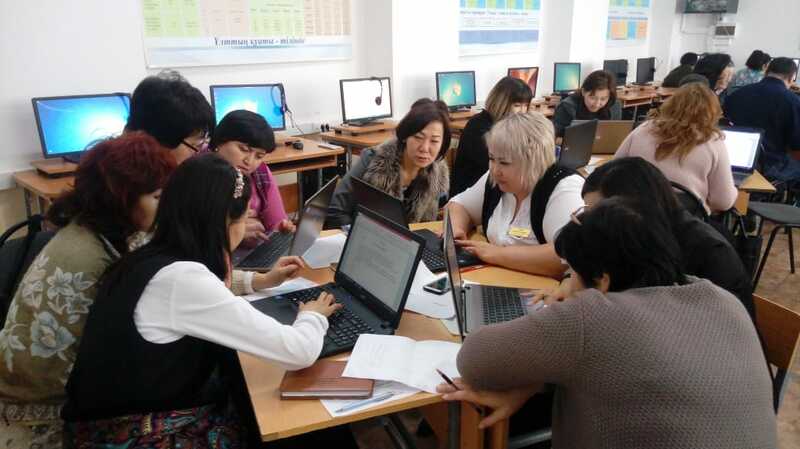 We hope that the workshop will help improve the methodological skills of teachers of the Kazakh language and literature, will be useful in terms of mastering the Latin script. We express sincere gratitude to VKGU named after S.Amanzholov in the person of Kelgembayeva Bakytzhan Bekenovna for cooperation in organizing the workshop.